When you see a beautiful business sign, it invites you in to enjoy the wonderful products or services which are available. Signs in Southern California are artistic, majestic, and part of the local landscape. However, these amazing signs are the culmination of an enormous amount of hard work from trained sign professionals, and surveys and permits are the foundation of the process. Even though you may have many businesses or franchises, each one is placed in a unique location, as far as the landscape goes. A site survey is perhaps the most important part of any project. A professional site survey takes into account, everything in the area, including businesses which border your property. Why is this important? In some cases, there may be physical restrictions or limitations which make it impossible to install the kind of sign you would like. This is important to know, because we are there to provide you with the kind of sign you need, and make sure it will fit into the space requirements. Our sign professionals will carefully examine your business property and take photographs from many angles. In addition, we take careful measurements in critical areas to ensure there will be no problem with the sign installation. You will know what works for your business. You will know what will not work for your business. We can give you an accurate picture of what your new sign will look like once it is installed. This gives you the chance to decide if this type of sign is really what you want. Maybe you want signs installed at 10 of your locations. We will do a site survey for each location to see if you need to make any modifications or changes. 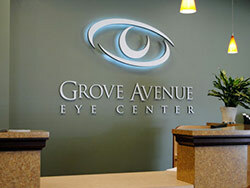 This will give you sign consistency and at the same time, custom signage for each location. You have enough things to do with running a business, than to worry about going out and taking care of permits for your signs. This is part of our job and we take it seriously. Our people are familiar with sign ordinances and we know exactly where to go and who to talk to. This is one less thing for you and your people to be concerned with. When you choose Dave’s Signs, you have professional help with all phases of your sign project and we don’t simply design, create, install, and then leave. We are there when you need us in the future, with top quality service.